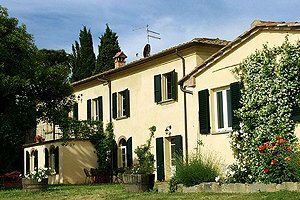 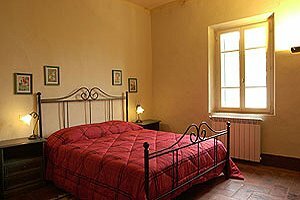 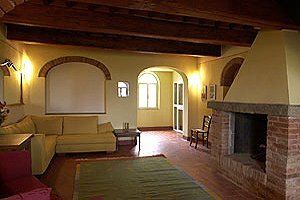 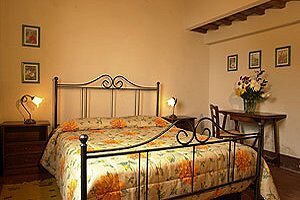 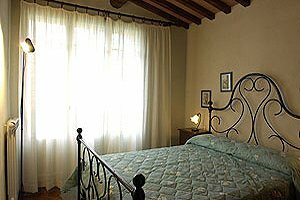 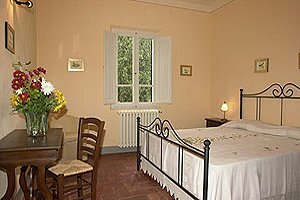 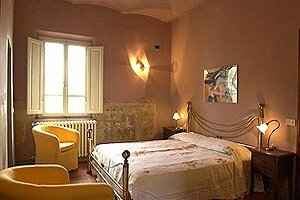 The ancient villa (18+4 sleeping accommodations) stands on a hill in the Valdichiana, just a few kilometres from Cortona, in the province of Arezzo. 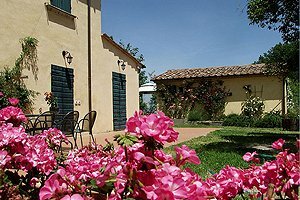 Near the estate is the ancient medieval village of Marciano della Chiana, which in 1554 was the theatre of the battle of Scannagallo. 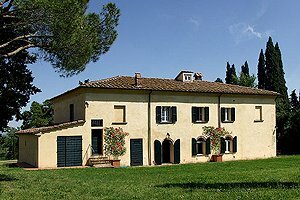 A forest of century-old oaks, ashes and cypresses surrounds the estate; Castiglion Fiorentino, Cortona and the castle of Montecchio are to be seen from the villa. 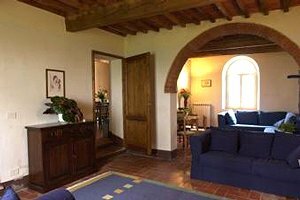 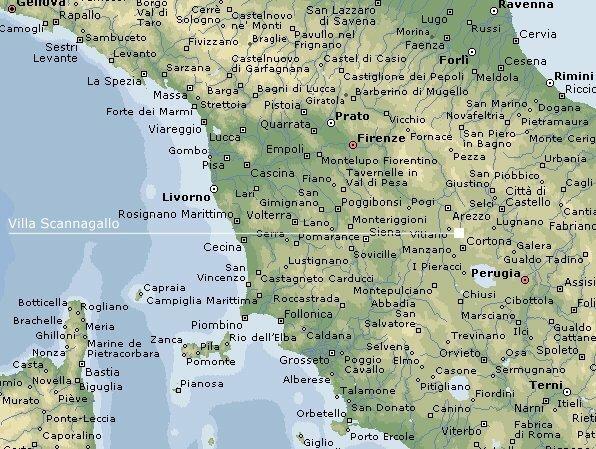 The villa is the ideal accommodation for those who love art history, who can easily drive to Siena, Arezzo, Florence, Cortona, Pienza, Assisi, Montalcino and all the most important cities of central Italy. 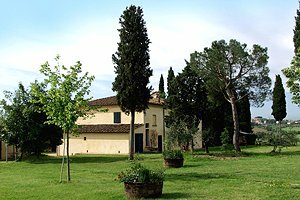 A wide 2-hectare fenced park stretches around the building. 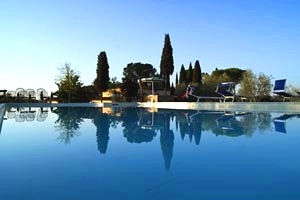 Here is the swimming pool (7x14 m). 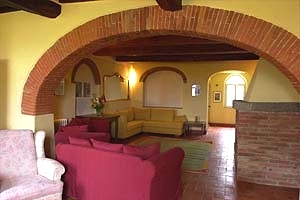 Beside the main building is a small cottage. 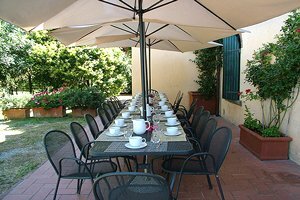 A large outdoor area has been furnished for eating al fresco. 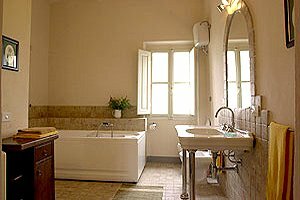 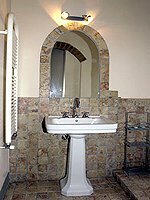 The structure (in total - villa and cottage - 7 double bedrooms + 2 suites and 9 bathrooms) is provided with satellite TV, CD player, DVD player, Internet connection, dishwasher, washing machine, electric oven, iron and hair dryer. 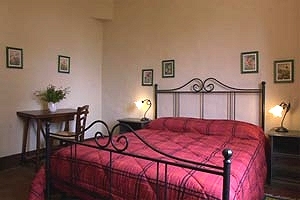 The car park, some bicycles and a cot bed are at guests` disposal. 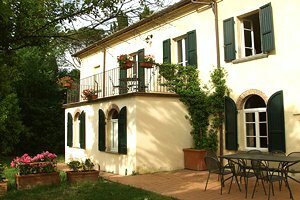 The villa is a two-storey building. 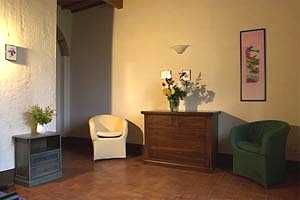 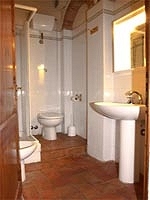 On the ground floor are two kitchens, the dining room, a living room with Internet connection, satellite TV and fireplace, 2 double bedrooms (one of which accessible to disabled people), 1 twin-bedded bedroom, 2 bathrooms with shower (one of which accessible to disabled people) and 1 bathroom with bathtub. 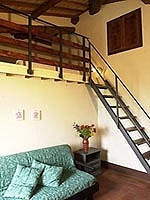 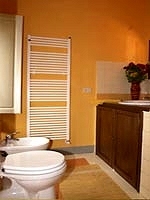 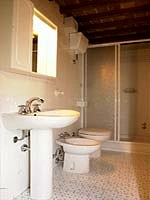 The first floor composes of 1 suite with double bedroom, living room with double sofa bed and one bathroom, 1 suite with double bedroom, living room with two single sofa beds and one bathroom, 1 twin-bedded bedroom with dedicated bathroom with shower, 1 double bedroom with dedicated bathroom with shower and 1 double bedroom with dedicated bathroom with whirlpool bathtub. 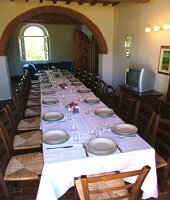 The cottage (2 sleeping accommodations; accessible to disabled people) composes of a kitchen, 1 double bedroom with satellite TV and 1 bathroom with shower. 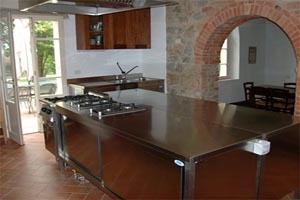 The kitchen opens onto a veranda.